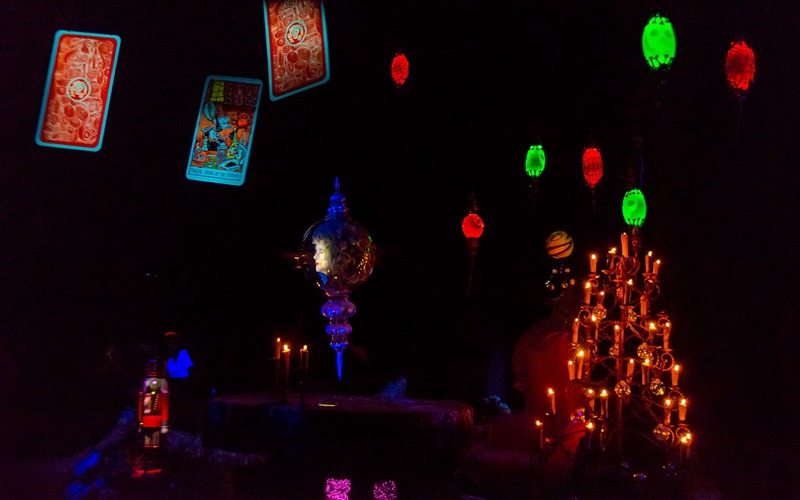 Last year, we took a trip inside the Haunted Mansion Holiday. Well, I still have some leftover photos from that session, so I figured I'd post some additional shots inside this mish-mash of Halloween and Christmas, come together in one delightfully spooky package! 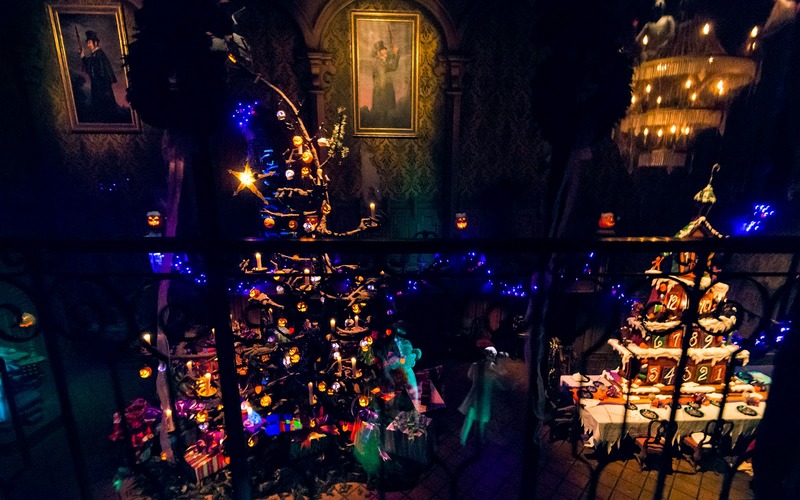 The seance with Madame Leota has been replaced by a celebration of the 13 Days of Christmas. 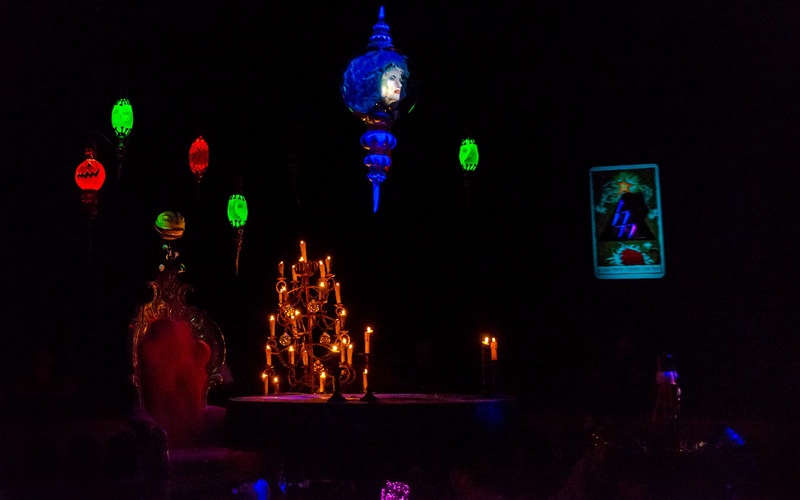 Madame Leota receives a new present for each of the 13 days. Onto the ballroom, where last year's advent calendar ginger bread house can be seen. 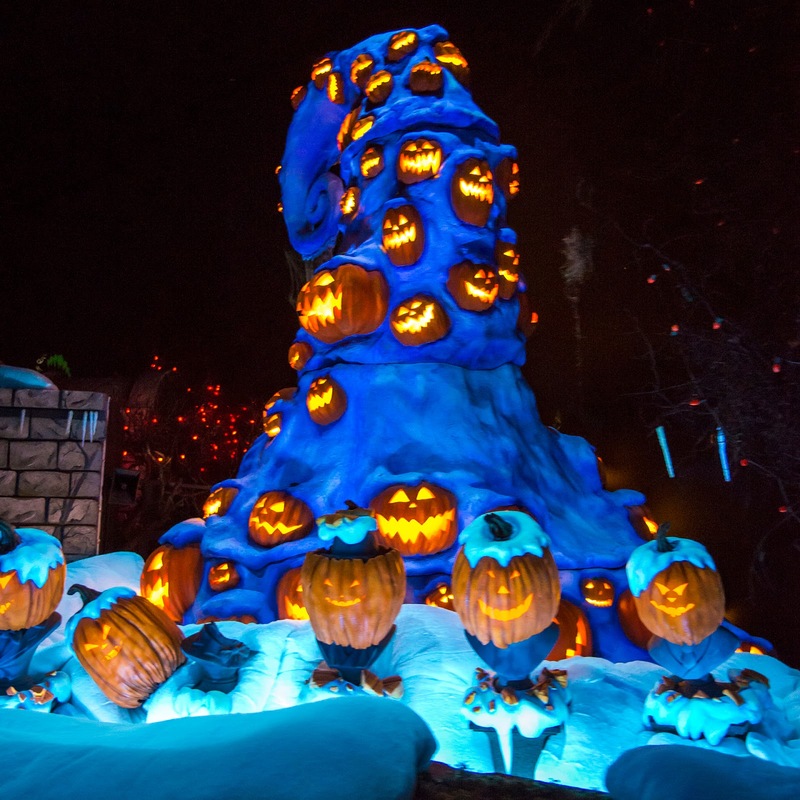 This snowy column o' jack-o-lanterns is one of the most eye catching features of the graveyard scene. 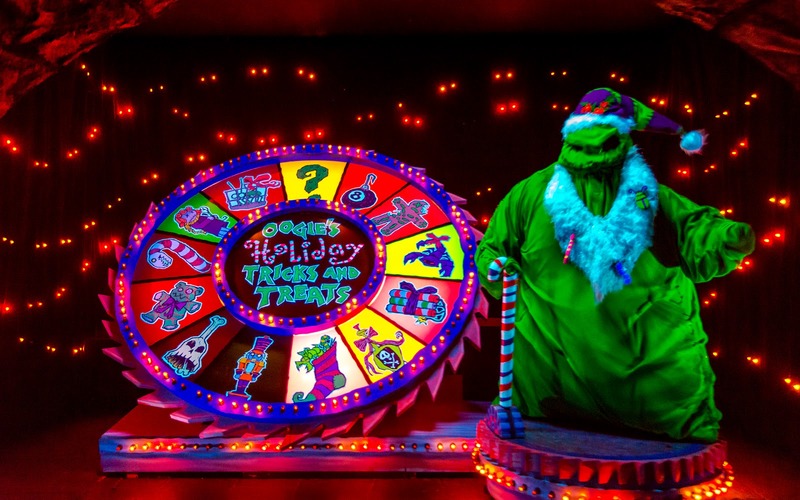 And of course, Oogie Boogie ushers guests out with his wheel of tricks and treats!